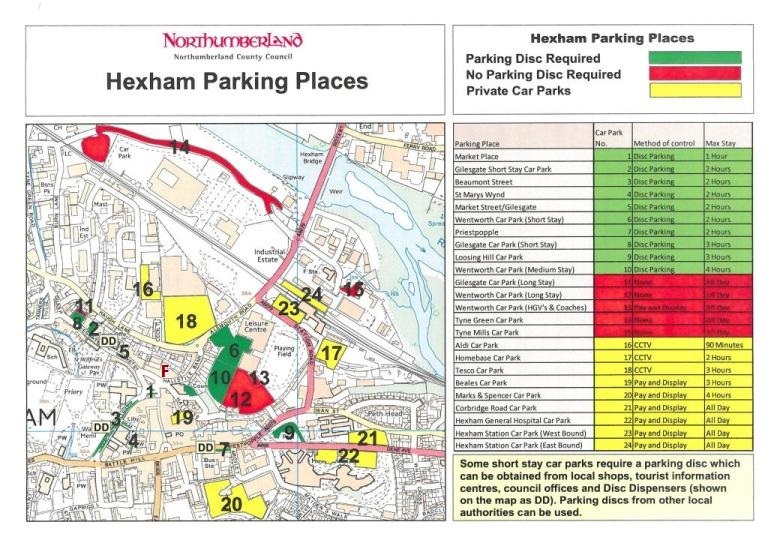 Hexham is a disc parking zone, with free parking at a number of locations within easy reach of the cinema (marked with an F on the map below). The map below shows where there are council and privately-operated car parking in the town. Parking discs are available at a locations marked DD.